It seems to be a common theme of mental health recovery that we begin to question our lives and the whole concept of happiness as a subsequence. At least it was for me. One of the most disturbing, recurring intrusive thoughts I had when I was unwell was that life was devoid of true happiness because humankind had no real idea of our higher purpose – and this made life pointless. Depression is fun, eh? Despite the recovery I’ve achieved through learning to manage the existential thoughts and all my other anxiety symptoms, the fascination with happiness and the human condition continues. I have a fairly clear idea now of how best to achieve peace and positivity in life and constantly hunting and grasping is not the way. But studying happiness is very interesting to me. 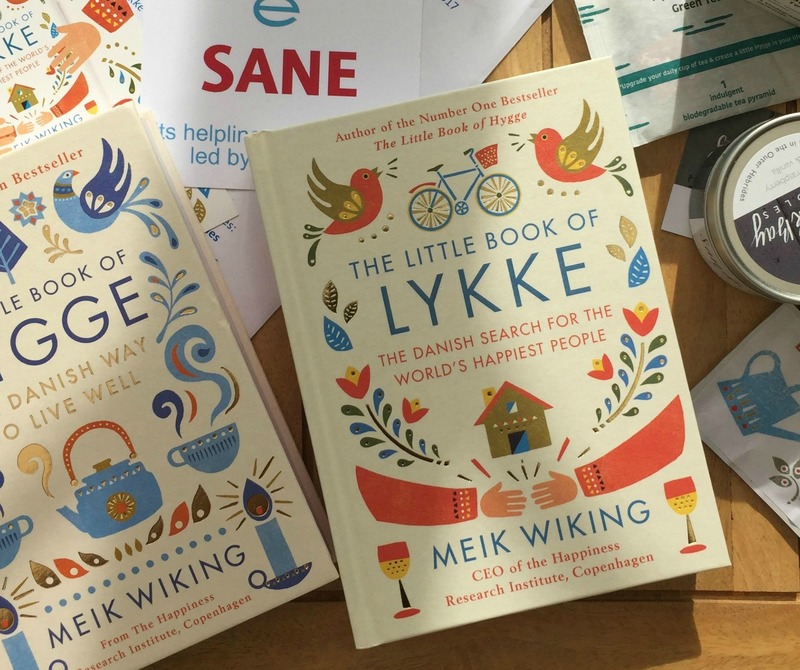 So when the mental health charity Sane told me they were working with bestselling author Meik Wiking on the promotion of his new creation – The Little Book of Lykke – I leapt at the opportunity to get a first look. Today we’re talking about about happiness, or lykke if you’re Danish (and two chapters in you’ll wish you were). Mr Wiking has probably the coolest job this mood-obsessive has ever heard of – his is CEO of the Happiness Research Institute in Copenhagen. 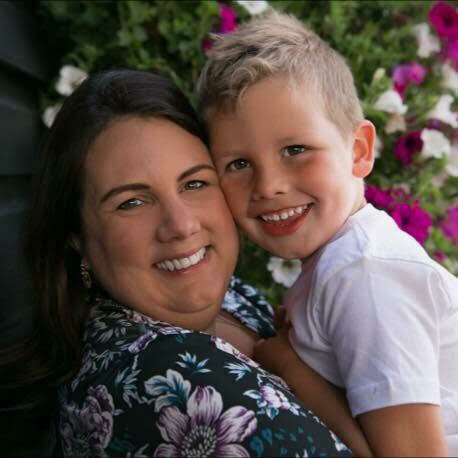 His role is to study what makes us happy and this research takes him all over the globe. Denmark has regularly come out on top in world happiness polls, with all of the Scandinavian countries fairing very well, so I can’t think of another nation more qualified to study lykke (pronounced ‘luuhkah’ – like the boy’s name). Generally speaking I’m not a fan of non-fiction but this book has quickly ingratiated itself into my all time favourites list. 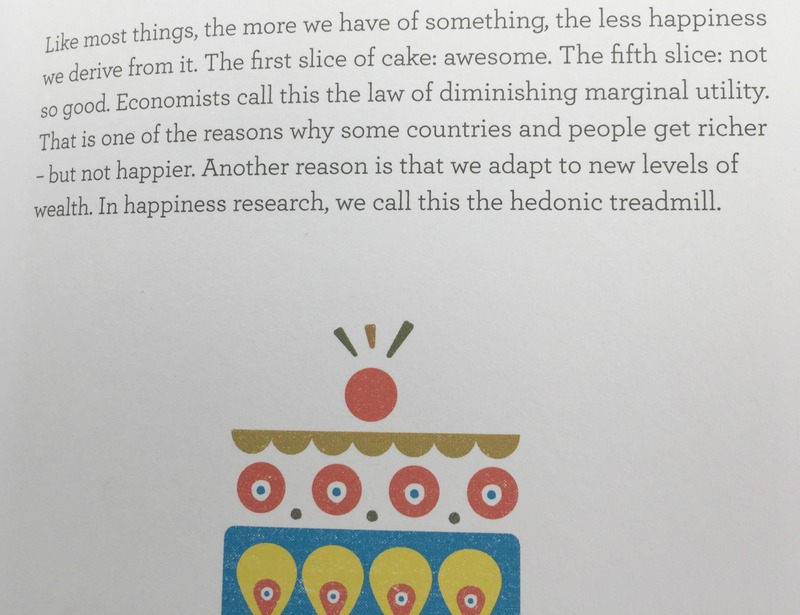 Mr Wiking begins by giving us an easy to understand background on how happiness research works and how such a subjective element is actually measured, before looking in more depth at the individual areas of life we often link with happiness, e.g. health, money, freedom and kindness. Although throughout each chapter he uses lots of facts and figures the book is never dry because everything is displayed in such a straightforward and aesthetically pleasing manner. Importantly, we are also given fascinating examples of how these ideas work in different nations around the world, alongside thought-provoking case studies which often left me reconsidering areas of my own life. For example, the story of Shani and Hulbert Street in Perth, Australia who have built such a bonded local community they had a skill register, a book exchange and an outdoor cinema in their street. Or Michelle McGagh who intentionally spent an entire year surviving on basic rations and seeking out completely free entertainment and experiences. I suppose this book falls into the reference category but it’s laid out in such a way that it’s a quick and absorbing read. 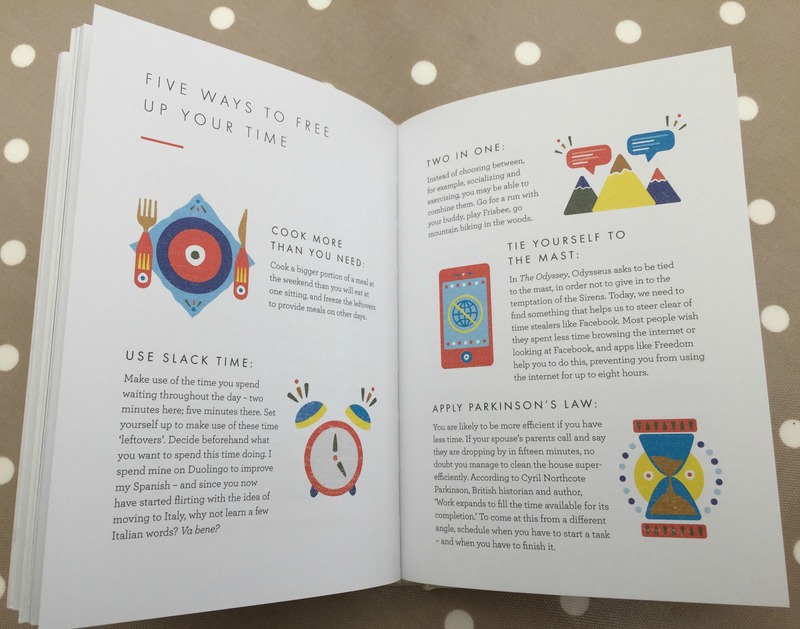 Each chapter comprises a introduction, photographs, charts, graphs and adorable illustrations, happiness tips, case studies and a wonderful round up of ideas from dozens of nations around the world. The writer’s voice is present throughout and his clear passion for the study of happiness leaps off the page, as well as lovely little nuggets of humour. I’m really tactile when it comes to books (thus not an enormous fan of e-readers) and the beautiful physicality of this book from it’s small size and hardback cover to the gorgeous photography makes me want to make it a permanent fixture on my coffee table. This would also make it easy for me to rave about to visitors. I was really excited to see some of my own theories about finding real happiness & contentment confirmed by Mr Wiking’s research. For example, this passage completely sums up everything I believe, not only about the correlation between money and happiness but about our constant striving for the next thing that will bring us joy – thus ultimately missing out on enjoying the wonderful present. The only downsides I can think of are firstly, Denmark as a shining example of good quality of life will only aggravate further your political grievances with your own nation. Secondly, from a mental health survivor perspective, if you’re currently struggling with similar existential questions and thoughts to the ones that bothered me this book may be quite a big trigger. Lastly, some of the concepts may seem a little unrealistic to replicate in real life unless you have particularly friendly neighbours or a very flexible boss. However, is that not the beauty of what Mr Wiking is trying to share with us? The book is certainly aspirational and gives examples of how you can begin with very small changes. If you’re a person captivated by what makes us happy (and what certainly doesn’t) you’ll really enjoy The Little Book of Lykke. And if you’re just looking for a helpful, informative, amusing and – somehow – cozy (sorry, hyggelig) book to settle down with on a Sunday afternoon I suggest you pick yourself up a copy. Happily. Disclosure: I received a copy of The Little Book of Lykke in exchange for an honest review. Words and opinions are all my own.